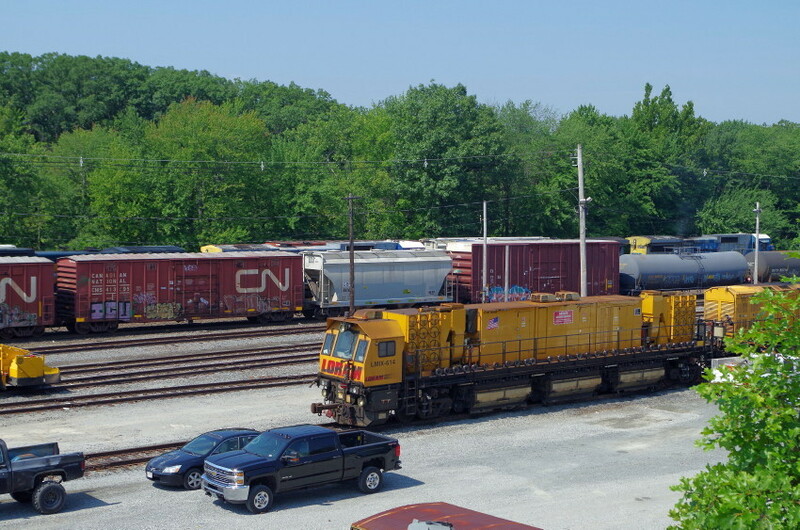 LORAM equipment waits at the yard for its next assignment. Photographed by Bruce Macdonald, August 7, 2018. Added to the photo archive by Bruce Macdonald, August 7, 2018.